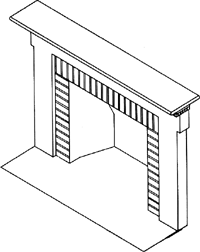 The frame and shelf surrounding the fireplace; often used to denote just the shelf. 1. A beam or arch that supports the masonry above a fireplace; also called a mantel-tree. 2. All the construction or facing around a fireplace. Mantel in 2015 But last night Margaret Holder, royal author and documentary writer, dismissed her Guardian article as "convoluted rubbish. The master has sash windows front and back, wooden floor and cast iron fireplace and mantel. Here is the Mantel of her earlier, darker kitchen-sink novels: harsh and comic, even derisive. In this way, Mantel creates an Anne who is simultaneously sensual and strategic, both puppet and puppet master. Cromwell's devotion to his mentor in Wolf Hall is another seemingly fine trait that Mantel twists in Bring Up the Bodies. Mantel, whose novel is part of a trilogy about Henry VIII's adviser Thomas Cromwell, also holds the record for being the first woman and the first living British author to win the Man Booker Prize twice. Double Booker Prize winner Mantel launched a catty attack on the Duchess of Cambridge, labelling her a "plastic princess". Mantel claimed it was her view on women in the monarchy but she crossed the line. Hilary Mantel is middle aged and, well, unfortunate-looking. DAVID Cameron yesterday rushed to defend the Duchess of Cambridge after her verbal mauling by author Hilary Mantel.